The VJM Metal Craftsman website is a resource offering information on historic metal truss bridge restoration and riveting as well as related services and research conducted and offered by Vern Mesler and VJM Metal Craftsman, LLC. Vern Mesler, manager of VJM Metal Craftsman, LLC, has thirty-four years experience with welding and steel fabrication. 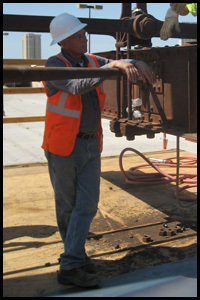 Vern Mesler also has over thirty years experience as an adjunct welding instructor. 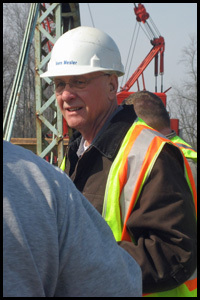 Vern Mesler has served as project manager for Historic Bridge Park of Calhoun County, Michigan, the first of its kind, and has also worked with a number of truss bridge restoration projects in Michigan and Ohio. Vern follows a philosophy of restoring truss bridges in a way that retains as much original material and construction details as possible, encouraging new standards for historic bridge preservation projects. Subscribe To The Iron and Steel Preservation Newsletter! 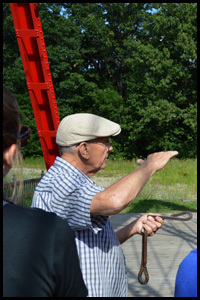 Iron and Steel Preservation Newsletter is a monthly newsletter, from Lansing Community College and edited by Vern Mesler, dedicated to education and preservation regarding restoration of riveted metal structures. Click here to add your name to the mailing list. You will receive the newsletter once every month. This website includes documents that require the free Adobe Reader to view. Click the link below to download.